A two-bedroom at 10375 Wilshire, this luxurious condo is listed at $6.5 million. So much to take in, including birds, busts, and naked reclining lady statues. 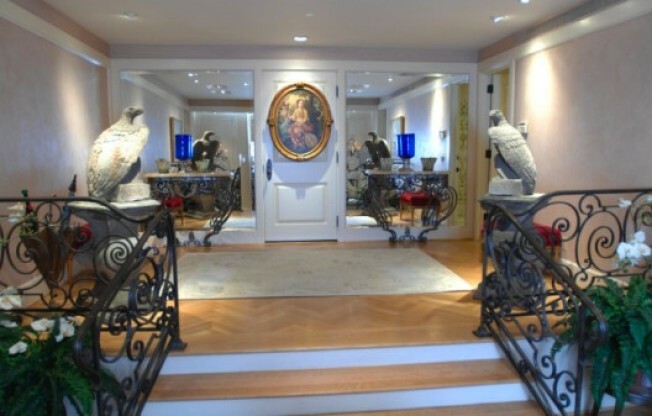 More via the listing: "One of the most luxurious and elegantly appointed condos in Los Angeles. High ceilings throughout. Large entry hall opens to fabulous living room with period French fireplace and floor to ceiling French Doors. Herringbone Oak Floors throughout. One tip, real estate agent: Hide the dog diaper when shooting the place (no judgment, pooch).